Michael Page is an undefeated welterweight prospect, and Evangelista Santos wants to derail his rise in front of “Venom’s” countrymen at Saturday’s Bellator 158 in London. Page was initially booked to meet Fernando Gonzales on July 16, but visa issues forced his opponent out of action. 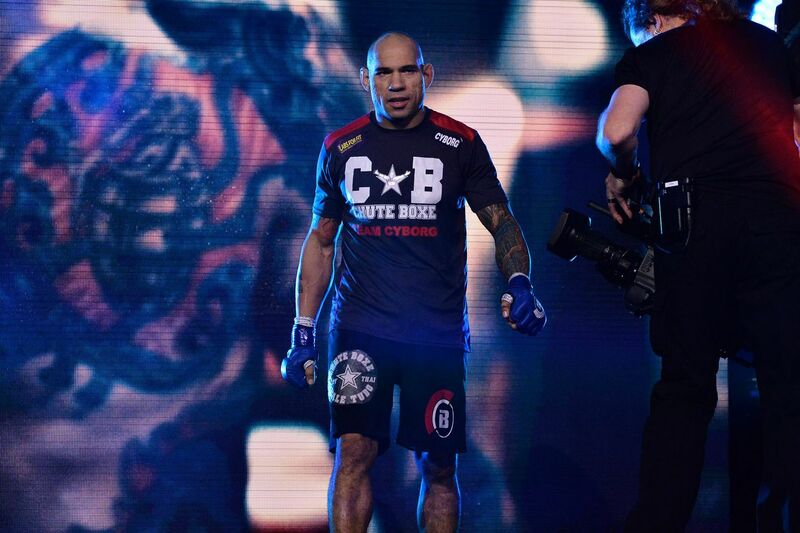 Bellator called long-time MMA veteran “Cyborg” to step in, and the Brazilian guarantees he’s in great shape despite his recent knockout loss to Saad Awad on May 14. “It’s a good fight,” Santos said. “He’s coming off good wins, he’s 10-0, but he hasn’t been in a tough situation in the ring yet. I’ve been through every situation a fighter can be in a fight, and this is my 50th MMA fight. I’ve fought the best all over the world, and that’s how you prove you’re a real fighter. I hope it’s a great fight. He has good abilities, but hasn’t been beat up yet. We don’t know how he reacts when he’s getting beat up.